Leigh first met Jason at an audition for a tragic play. He was nineteen and troubled and intensely magnetic, a dead ringer for James Dean. Leigh was twenty-two and living at home with her parents, trying to figure out what to do with her young adult life. Within months, they had fallen in love and moved to New Mexico, the 'Land of Enchantment,' a place neither of them had ever been. But what was supposed to be a romantic adventure quickly turned sinister, as Jason's behavior went from playful and spontaneous to controlling and erratic, eventually escalating to violence. 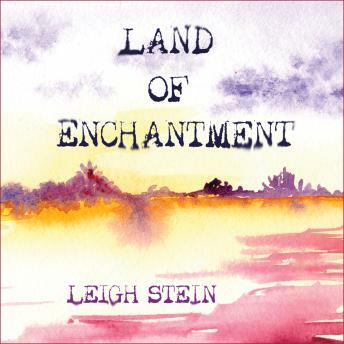 Land of Enchantment lyrically explores the heartbreaking complexity of why the person hurting you the most can be impossible to leave. With searing honesty and cutting humor, Leigh wrestles with what made her fall in love with someone so destructive and how to grieve a man who wasn't always good to her.